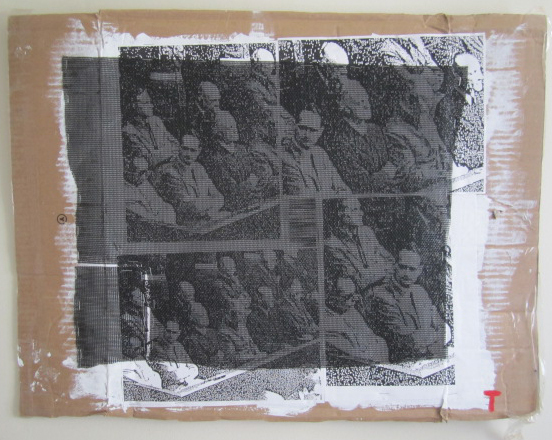 I am currently working with cardboard and screens, white acrylic paint and photo reproductions. What is visible and invisible? What is hidden and revealed? What do we see and what do we not see when we see something? Dream logic. Chance. Working through multiple versions of similar concepts and constructs. I have been active since 1991. 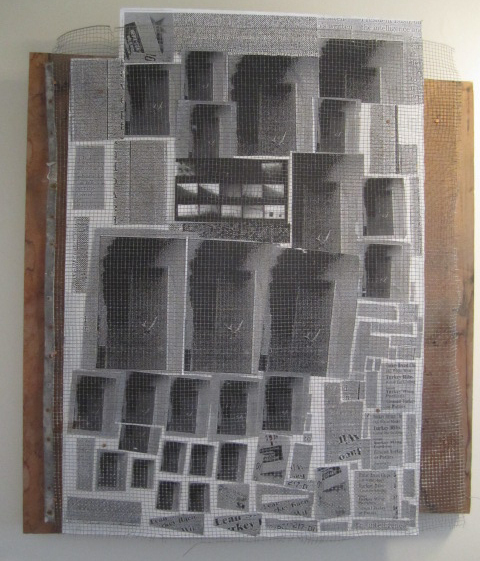 I work with acrylic paints, cardboard, found objects, photo reproductions, screens. I have been exhibited in multiple galleries, highlights: Off the Wall Gallery in Philadelphia. Currently creating in Montpelier, Vermont. Other loacations of note include Alta, Utah; Cincinnati, Ohio; Athens, Georgia; Bryn Mawr, Pennsylvania; Vin Del Mar, Chile; and Geneva, New York.